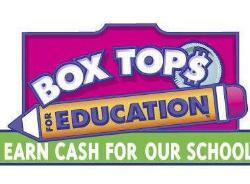 Please clip and save boxtops4education. Get your family and friends to save them as well! Each label is worth $0.10. For more information visit boxtops4education.com. For a copy of available products, click on the file below. You may use the collection sheet found below, or simply collect them in a baggie & send them to school.